Earth Sciences and Map Library Exhibits: Chocolate!!! Where does it come from? The exhibit “Chocolate!!! Where does it come from?” will be on display at the Earth Sciences & Map Library through the end of December. The exhibit is located in the exhibit case just outside the northern entrance to the Earth Sciences & Map Library. Additional maps and illustrations related to the exhibit theme can be found on the map display rail inside the library. 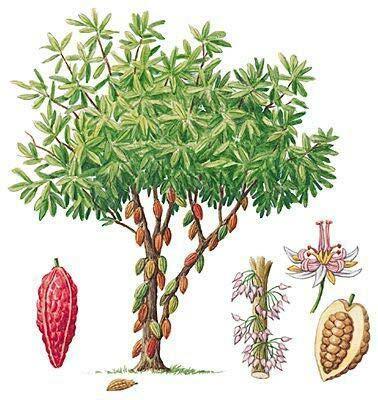 Seventy percent of the world’s cocoa is produced by smallholder farmers in West Africa. Smallholders generally plant about 5-15 acres. Ivory Coast is the world’s biggest producer. 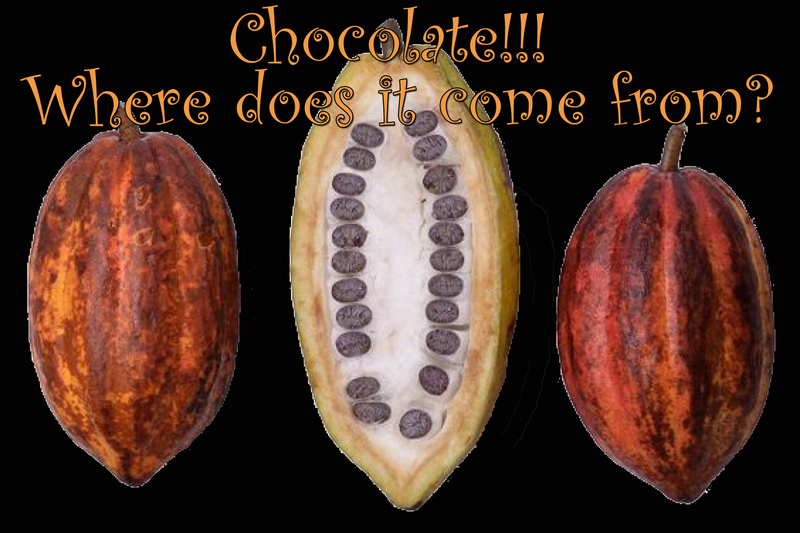 Exports of cocoa account for 40% of its national export income. The maps on display include a Gold Coast Dept. of Agriculture 1944/1945 cocoa survey that also shows areas of swollen shoot infestation in what is today Ghana and Ivory Coast. Ivory Coast has long been dependent on food imports and the 1960s saw a major push to diversify agricultural production, in part supported by researchers working on a Ford Foundation grant. The Development and Research Corporation of Sacramento, Calif., produced a series of maps in 1960 that suggested likely alternatives to cocoa, but these diversification efforts did not succeed. By the 1970s Ivory Coast had earned a reputation as a politically stable and economically viable West African country. Its capital Abidjan had developed into a commercial hub with particular importance for francophone Africa. A 1972 CIA map of Ivory Coast shows the country's infrastructure, but also maps out population distributions, ethnic divisions, land cover, and economic activity, including the northern limit of cocoa planting. Maps on the map rail show how cocoa production is concentrated in areas with favorable soil and climatic conditions. The most recent maps evaluate the future of cocoa production in Ivory Coast and Ghana and predict the decline of cocoa harvests in West Africa, due to increased land use for food crops and changing climatic conditions. Bonita Dyess (Circulation Supervisor) and Heiko Mühr (Map Metadata & Curatorial Specialist) collaborated to design the exhibit. We invite you to stop by and check out the exhibit! From the thousands of children who work on plantations to the smallholders who harvest the beans, Chocolate Nations reveals the hard economic realities of our favorite sweet. This vivid and gripping exploration of the reasons behind farmer poverty includes the human stories of the producers and traders at the heart of the West African industry. Provocative and eye-opening, Chocolate Nations exposes the true story of how the treat we love makes it onto our supermarket shelves. This book, written by global experts, provides a comprehensive and topical analysis on the economics of chocolate. While the main approach is economic analysis, there are important contributions from other disciplines, including psychology, history, government, nutrition, and geography. Thechapters are organized around several themes, including the history of cocoa and chocolate -- from cocoa drinks in the Maya empire to the growing sales of Belgian chocolates in China; how governments have used cocoa and chocolate as a source of tax revenue and have regulated chocolate (and definedit by law) to protect consumers' health from fraud and industries from competition; how the poor cocoa producers in developing countries are linked through trade and multinational companies with rich consumers in industrialized countries; and how the rise of consumption in emerging markets (China,India, and Africa) is causing a major boom in global demand and prices, and a potential shortage of the world's chocolate.